We protect the rights to performances at our events with choreography and music having additional artistic rights. The video of our events is licensed and protected. Unless otherwise stated, permission for its use is required. We protect the onstage imagery of routines at our events. Unless otherwise stated, permission for its use is required. Thunderstruck Canada does not own or have any rights on the choreography of a routine or the music used in the choreography. It is performed on our stage, under our brand and uses our licensing. It provisions us to protect the performance rights of the dancer(s) and choreography with the exclusive right to image and record. It also permits us to guard against anyone recording or distributing recorded images. 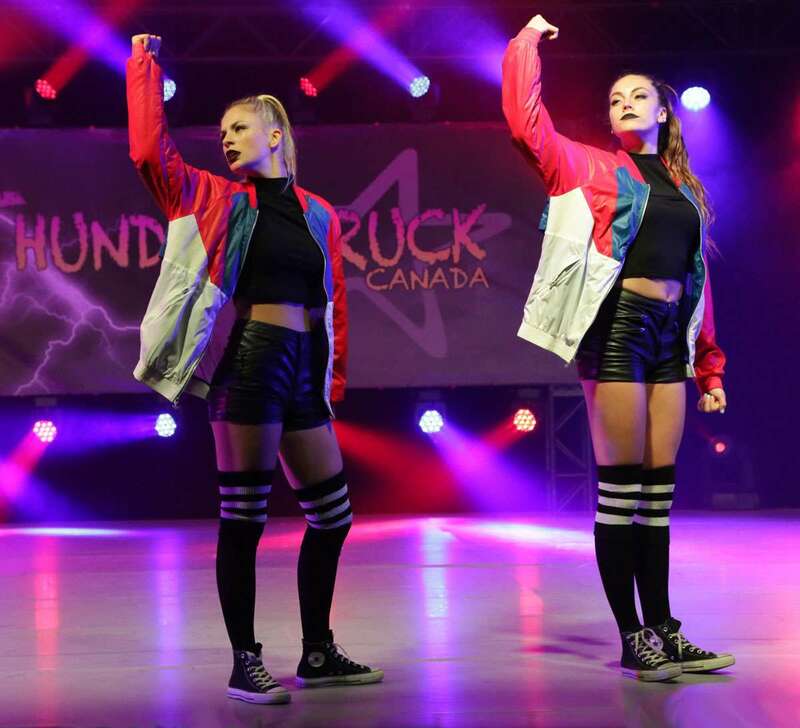 Dancers, Choreographers, and Studios as a whole or in part agree, before the event, granting Thunderstruck Canada all permissions not already warranted through the licensing and Copyright Act. We share imagery through email, website and social media that you are welcome to share and use on social media. Just don't forget the hashtags. A choreographer will typically stipulate the conditions that their artistic creation is permitted to be performed and place limitations on any modifications to movements, music or form. They will also specify whether they require credit or waive that credit to the Studio and under what terms. The music used in most choreography is copyright by the recording artist, agency and company. Associations are in place to regulate and administer the licensing for music depending on the location and end-use. Although a choreographer (or studio) own the choreography, they are not permitted to record it with music outside their licensed premises. A dance routine choreographed at a studio versus it performing in competition requires different music licensing through SOCAN. The licensing is available on a schedule called tariffs. The tariff and fees for a studio are different from that needed for public performance. In the public domain, an additional license is required to play that same music, and that license does not cover the recording of video. That is an additional license. The tariff calculation is by event based on the number of days. Thunderstruck Canada, the venue, and the professionals working the event acquire all the necessary licenses required to play the music and record video. These licenses do not extend to choreographers or studios who may own the choreography, to the public in general, and specifically dance families who may have a child performing. Stage performances include the choreography, music, and stage design rights of different individuals or organisations. The dancing, sounds, stage, audience, lighting and effects combine to define what we consider to be a performance. Performances at Thunderstruck Canada are copyright. Imagery or recording, of any type, at an event by anyone not authorised by the company is violating the Copyright Act of Canada. If you wish to utilise materials other than the provisions already provided, please contact the office. 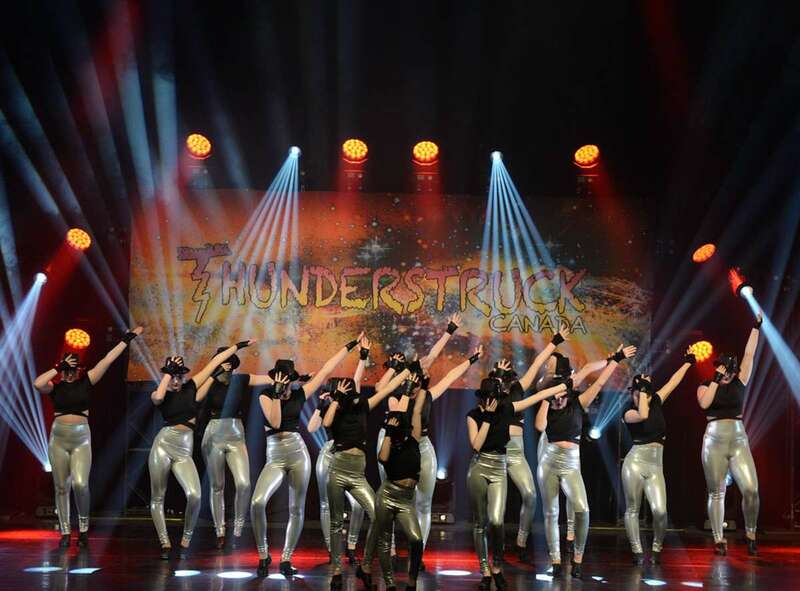 Photographs from our competitions that appear in print, on electronic newsletters, or websites are permitted ONLY with the express written consent of Thunderstruck Canada Dance Corporation. Videos from our competitions are for your personal use. Use on websites or online contests is restricted without prior permission from Thunderstruck Canada Dance Corporation. You are free to share and comment positively on any media that we post on social channels. When sharing it would be great to be part of the conversation, so be sure to use one of our hashtags. The live social broadcast of the competition is reserved. Please do not record. Media that we distribute can be used and shared. Show some love and include our hashtags in your posts.